Can I host an event at WILD LIFE Sydney Zoo? 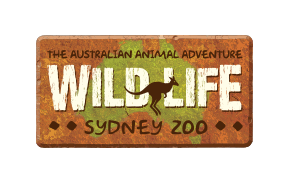 At Wild Life Sydney Zoo event guests will enjoy an amazing animal adventure as they journey into Australia's most famous locations. Walk through iconic Aussie habitats and encounter some of the most loved and feared animals that call Australia home. Located on the water’s edge of Darling Harbour, WILD LIFE Sydney Zoo offers your guests an unforgettable event experience that's genuinely distinct from other function venues. Our unique event & function venues allow guests to enjoy cocktails in the heart of the Australian Outback (without leaving the CBD) amongst our mob of friendly kangaroos and wallabies, enjoy the sunset from the stunning Koala Rooftop, or dance the night away on the WILD Croc Deck. With experienced events specialists, who are experts at tailoring an event for your specific needs and who are adept at delivering high quality food, wine and service, the Merlin Events team will provide the stylish finishes and exquisite detail essential for any corporate event. Please note: Our events team can only assist with private events enquiries, they are unable to assist with general enquiries or bookings. Where do I find more information about a career at WILD LIFE Sydney Zoo? How long does it take to go around WILD LIFE Sydney Zoo?